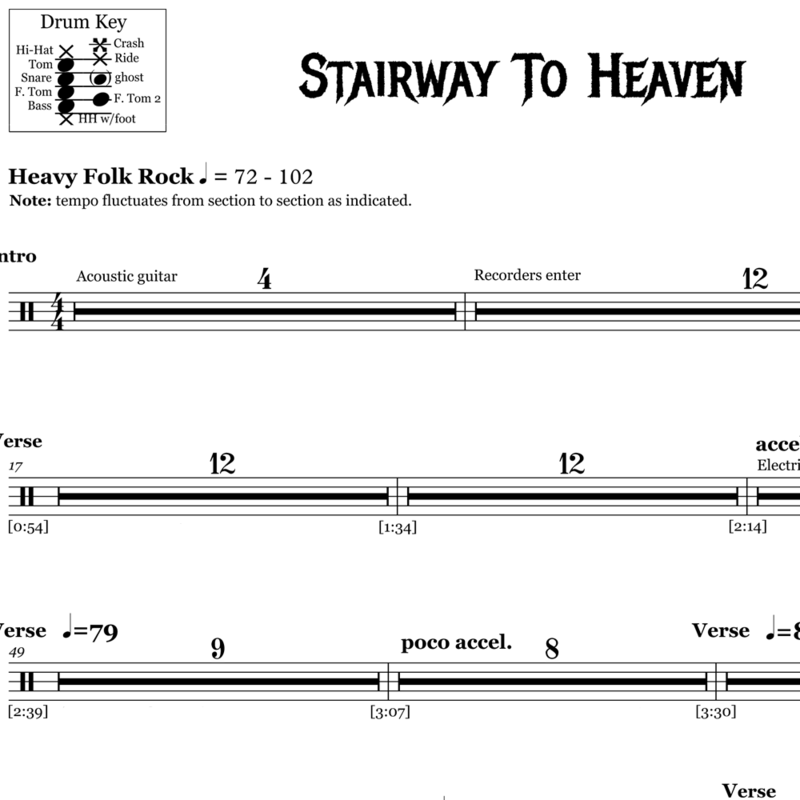 The full drum sheet music for “Rock and Roll” by Led Zeppelin from the album Led Zeppelin IV (1972). 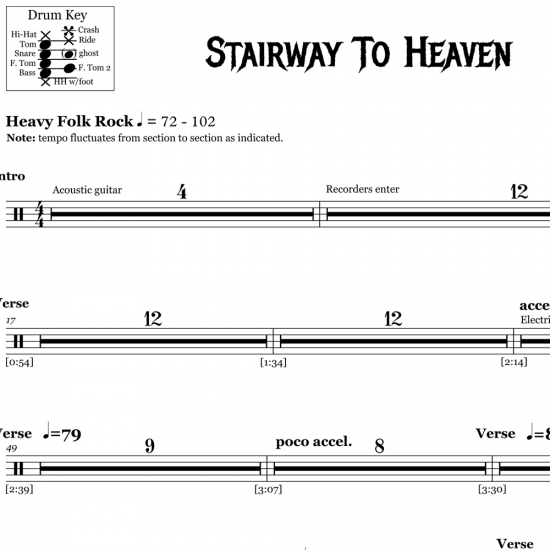 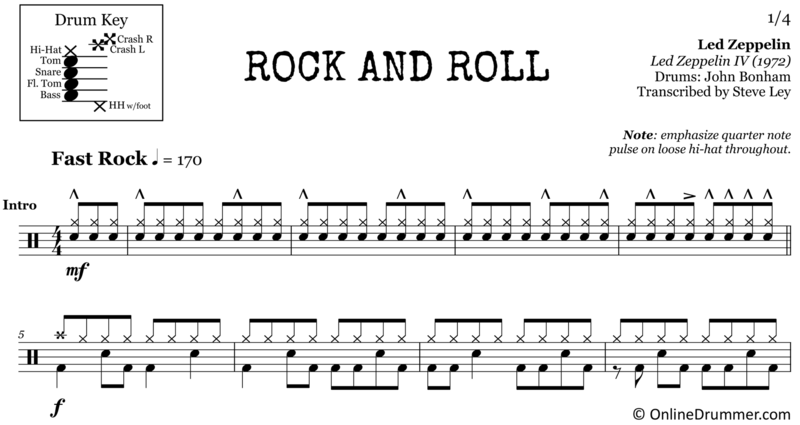 “Rock and Roll” uses the classic ‘rock n roll’ blues progression in an all-out, hard-hitting rock and roll free-for-all. 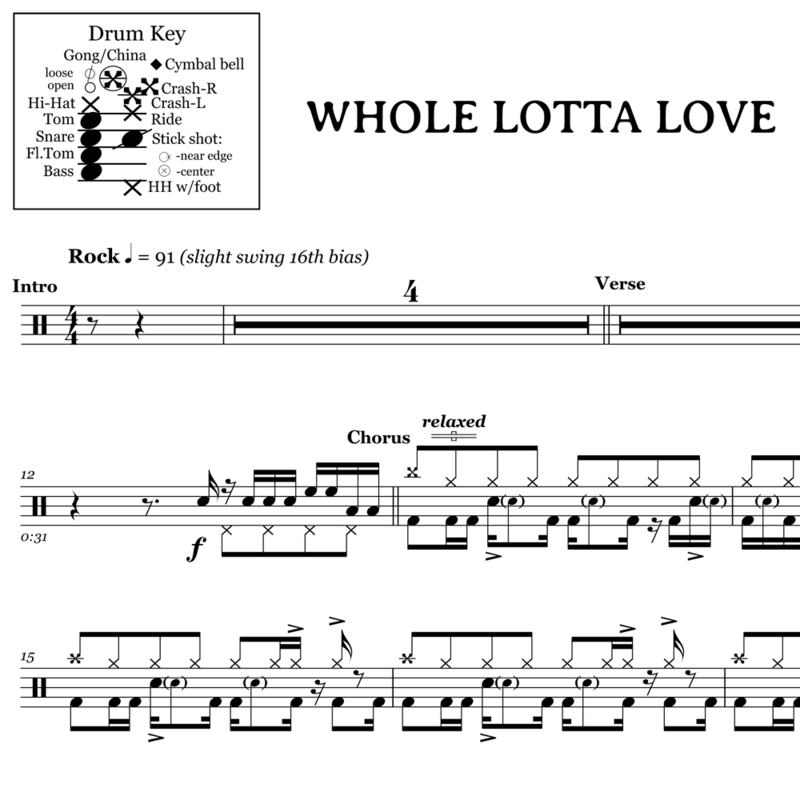 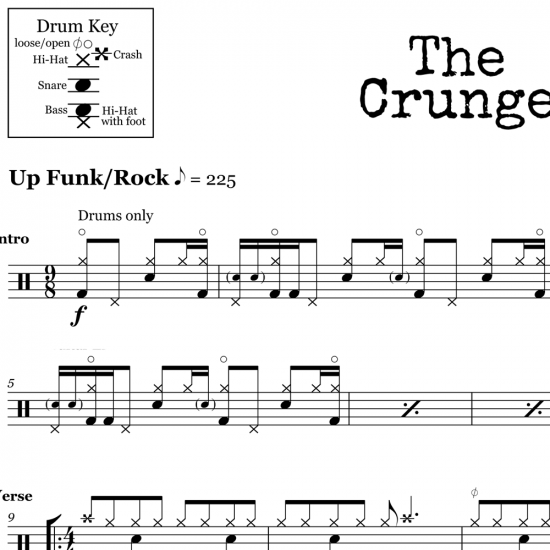 Although John Bonham tended to play the drum part differently for each live concert, allowing his intuitive, unique expression to shine through, this sheet music presents the tried-and-true, original drum part recorded on the album. 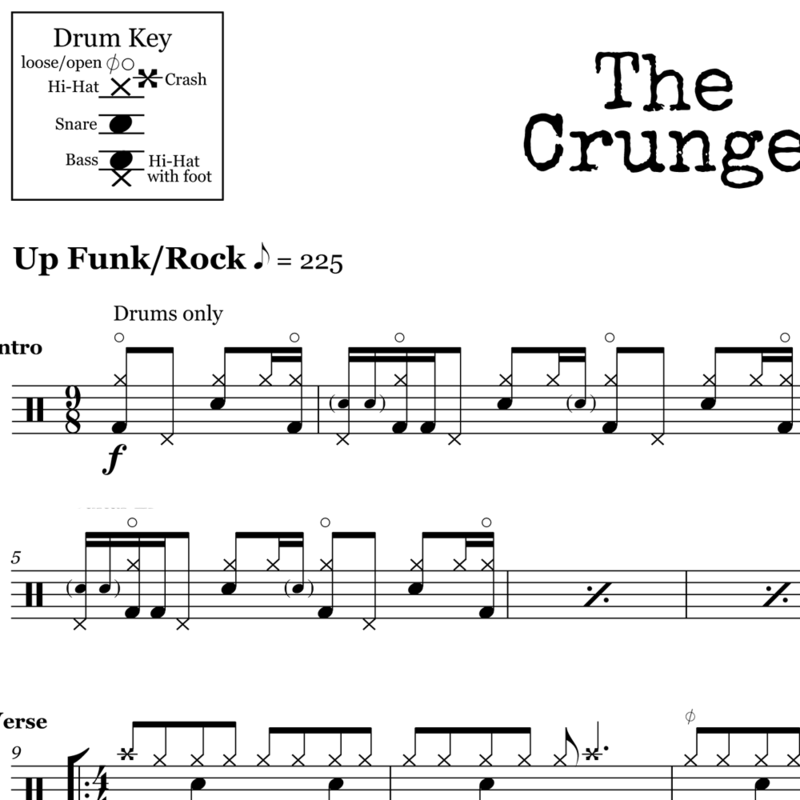 If you’re looking for a schooling on single bass drum technique, this song is an eye-opener as to how expressive the bass drum can be. 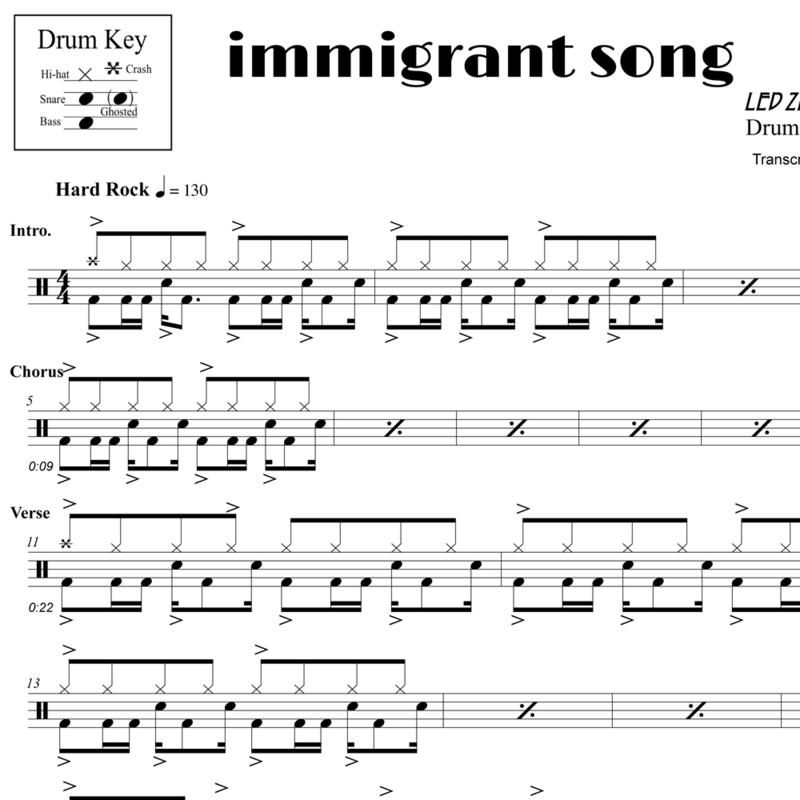 Bonham also plays a series of syncopated, “What?” provoking drum fills while moving the song along without missing a beat. 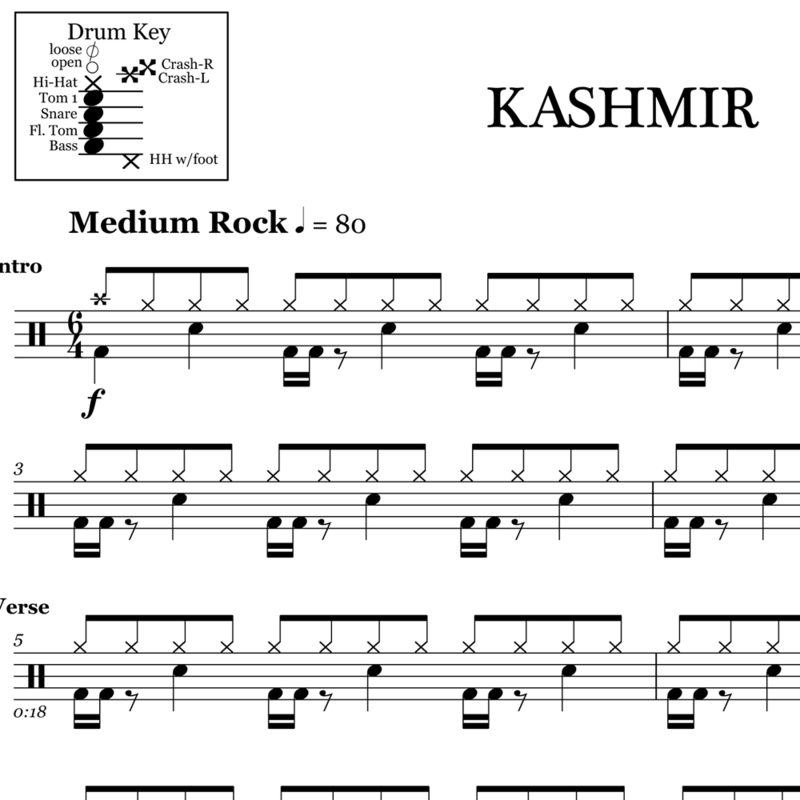 This is a classic drum track.